← What’s So Great About Unreliable Narrators? Is your main character (MC) driving the action in your story? What makes this particular story belong to this particular character? Is this character just a victim on the sidelines, or is this character taking action to drive the plot forward? Writing your character as proactive instead of reactive drives the plot and gives us reason to root for the character. It’s okay if your MC is failing (in fact, road blocks are great building blocks to plot) as long as she is trying to do something to get where she wants to go. In the “Q&A with Veronica Roth” section at the end of Divergent, author Veronica Roth tells us that she gave herself one primary rule with regard to her main character, “Beatrice is the agent… she’s always choosing, always acting, always moving the plot by her behavior.” Active, rather than passive, characters help your plot to be both more character-driven and more action-driven. 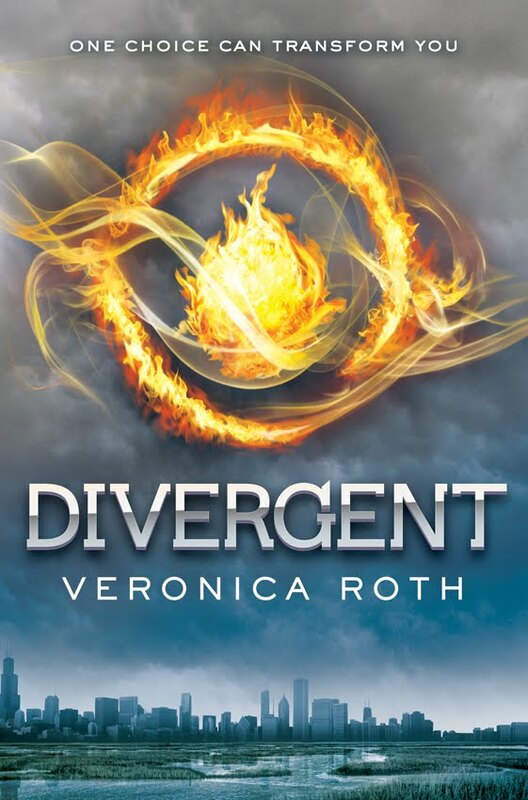 In Divergent, Beatrice, or Tris, drives the action at the beginning of the story by choosing her faction. There must be a reason that this exact character is telling this story. What is so special about your MC that they deserve to be the one telling this story? What is it about them and their experience that makes them the person to follow? In The Hunger Games, Katniss drives the action at the beginning of the novel by volunteering to replace her little sister at the reaping. Katniss made a hard choice, but it was her choice. If she had originally been chosen for the reaping instead of her little sister, The Hunger Games would not have had the same emotional pull (and we as readers might not be rooting for Katniss in the same way). Although Katniss is caught up in the Games and definitely sometimes in a reactive position, she still continues to take action to drive the plot. Why have an active rather than passive MC? Readers want to root for the main character more if they are trying to help themselves. We get to know the character better through their actions (showing vs. telling). Hard choices reveal the character’s innermost traits (Beatrice’s desire for independence, Katniss’s love for her sister). This story belongs to these characters – there’s no way it could be told in the same way by anyone else. The characters become more memorable. What are your favorite stories where the character drives the action? Do you think this is something that is important to move the plot forward? P.S. Check out this old post from Nathan Bransford about character choice. Posted in Craft and tagged character, character motives, character quirks, Divergent, dystopian, emotional integrity, love, plot, showing vs telling, The Hunger Games, Veronica Roth, writing, writing rules, ya. Bookmark the permalink. This is so true, and it’s something I used to struggle with. I think maybe part of the problem is that we grow up with stories named after characters who don’t really do much. Referring to Disney versions: Snow White is a victim of the queen’s hatred who stumbles onto the woodcutter’s mercy, happens to find people to live with, is hurt by the bad guy and saved by the prince*. Sleeping Beauty is cursed, is sent away, is cared for, is found by a prince, is pricked with a spindle, is saved by the prince. Even Lady from Lady & the Tramp spends the movie reacting, only taking action when that adorable ruffian’s life is at stake. Then she proves his innocence and lets the humans take over. It’s been getting better with more recent Disney stuff, but you see what I mean. People often think nothing of it when a female protagonist takes a passive role. We’re used to it. It’s something we should absolutely work to get past, as it makes our stories so much more interesting when our characters act instead of always reacting (or at least, there should be a balance; I don’t like a character who’s always in charge, either). But there it is. Boo. Thank you for a thought-provoking post! It’s actually helped clarify something for me. Love this! And great choices for examples. Writing a character-driven story has its challenges, especially if you’re like me and get distracted by shiny plot points. You asked about favorite character-driven stories. Well, I think of any book by Melina Marchetta (SAVING FRANCESCA, JELLICOE ROAD, FINNIKIN OF THE ROCK). I also think of SABRIEL by Garth Nix. Sabriel is totally active and often makes mistakes. I’ve never read Marchetta or Nix, although I’ve heard mention of both. Sabriel sounds like an interesting one. An active protagonist is always more interesting than a passive one, unless the point of the character IS his or her passivity. But then there must be something that propels him/her into action or the read would be unsatisfying. I guess we like to see strong people make things happen. You’re right; there is an inciting incident in most strong stories. I suppose there’s a balance somewhere between taking action and twists and turns that surprise our protagonist. I loved this book and Insurgent. As a reader, it almost makes you crazy that the MC can’t stay out of trouble. You’re like “don’t do it” but it’s worth it when they manage to just barely get out of trouble. As a writer, I’ve struggled with the same thing. Its hard to always make the MC’s “disasters” something they’ve caused as it opposed to it being something that just happens to them. I sometimes find myself actually wanting to yell at the characters (“Scarlett, tell Rhett the truth!” etc. ), but it definitely makes the stories more interesting to see how they get themselves out of the trouble they’ve gotten themselves into. What Makes Cross-Genre Fiction Work?